Start with washing and chopping all the herbs to make it easy to blend. Throw them in a blender, add half of the walnuts, garlic, 50 grams of oil and blend. Slowly add lemon juice and taste it while preparing. It should become a porridge-like substance. 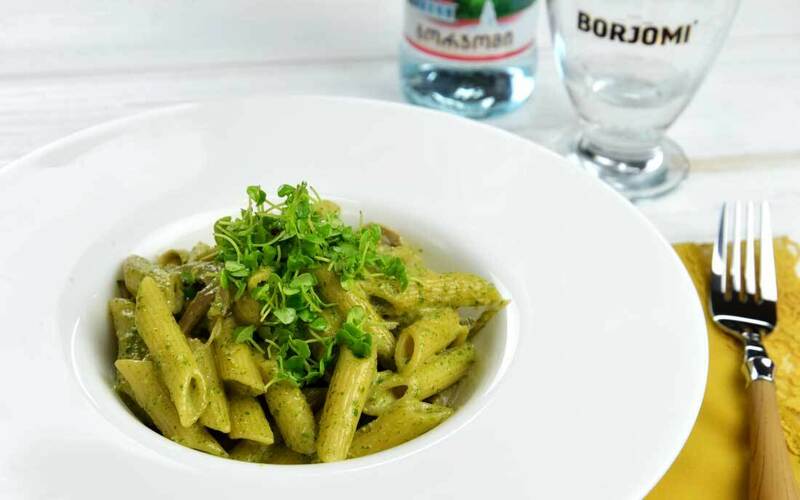 What should the pesto be like? It depends on your taste. You can add the whole lemon juice, as well as cashews. 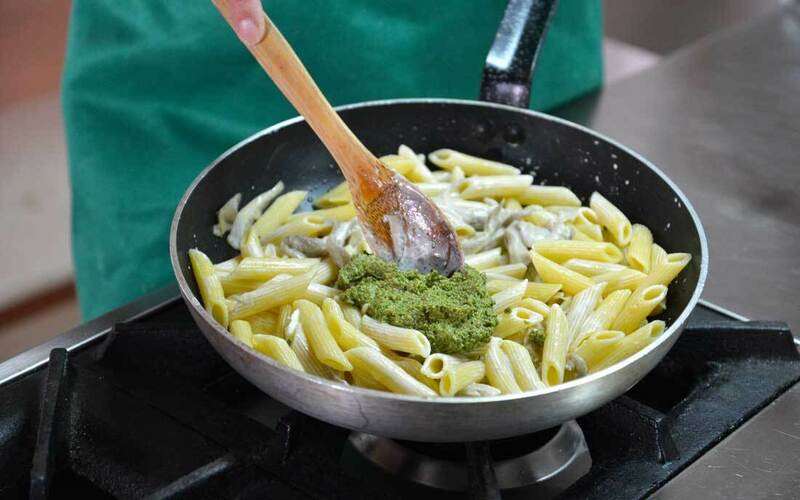 Add a pinch of salt in the end and your pesto is ready (you can keep the pesto in a clean covered glass jar and use it the following day). 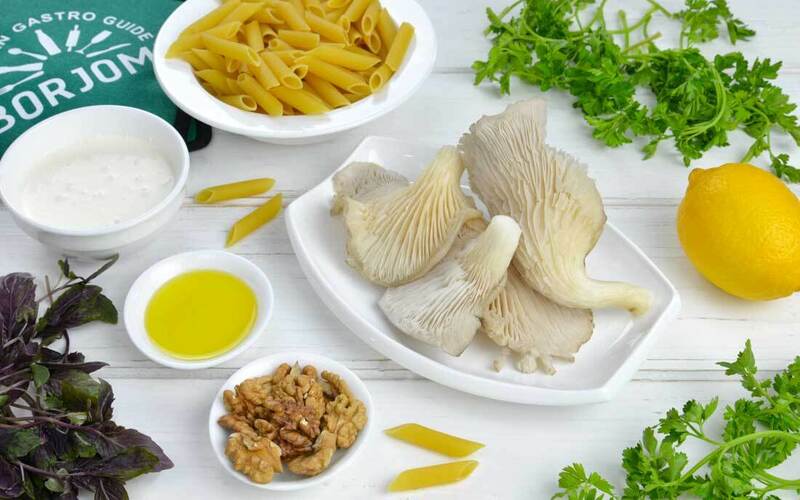 Wash mushrooms thoroughly and cut into long thin slices. Heat a pan, add remaining oil and fry on a medium heat. Simultaneously, boil water in a pot, add salt and then pasta (you can use any type of pasta), cook it for as long as instructed on its packaging. Drain it when ready, add to fried mushrooms in the pan and pour some soymilk. Add a preferred amount of pesto and after two minutes, move it on a plate.